With its endless style and many types of pile, carpet is all about unlimited possibilities, making it a floor favorite for residential and commercial settings alike. Representing comfort as well as transformation, carpeting remains extremely popular. At Carpet One Floor & Home - Asheville we can help you find the perfect carpet for your upcoming renovation project, tailored specifically to your tastes and needs. 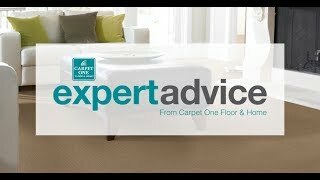 Let’s venture further into the world of carpet and learn why it could be just the thing when it’s time to choose new flooring. Offering instant ambiance, carpeting brings comfort and warmth. In many cases, carpet can also protect your subfloor from everyday accidents. Nowadays, there are carpet choices aimed to fit every budget, every style, and every functional need you might imagine. The current carpet market continues to grow by leaps and bounds, and while it’s always great to have choices, making a final decision can get challenging. Since not all carpets are made alike, here are a few things you should know about the different kinds of carpets, as well as suggested uses. As the old saying goes, knowing is half the battle. Your carpet pile, or its fibers, will play a huge role in the way your rug will endure over time. There are carpets made from both natural and synthetic fibers. Synthetic fibers tend to be a lot softer, while certain synthetics like polyester and nylon are particularly durable. Wool and other natural fibers can be rougher to the touch. Wool, on particular, is renowned for its allergen-reducing properties. Frieze or “shag” carpet has a trendy look with its long, twisted yarns. This soft pile is extremely casual in appearance. Level loop carpet has a neutral appearance that can integrate with any type of décor. It has short loops with uniform appearance and is very durable. Patterned carpet has intricate patterns that are extremely formal in appearance. Textured carpet has longer, rougher fibers that are great for disguising dirt and stains. It has a casual look and can withstand heavy traffic. Plush carpet has a luxurious, high-end appearance similar to velvet fabric. It is best reserved for formal rooms that don’t receive heavy foot traffic. At Carpet One Floor & Home - Asheville we carry the region’s most exciting collections of carpeting. Here, you’ll encounter plenty of choices to ponder, including your favorite brands as well as some Carpet One exclusives. As members of the largest cooperative of independent flooring stores in the world, we boast incredible buying power, local-savvy service, and competitive prices. We are happy to feature STAINMASTER carpet. Carpeting trends tend to come and go. This simple fact means that choosing carpeting can represent a major design decision. One solution is to consider opting for timeless neutrals. Investing in quality carpet cushioning is a critical step in ensuring your new rug has a long, purposeful lifespan. With helpful tips, it’s easy to prevent, and in some cases reverse, carpet fading caused by the sun, and other factors.